As we’ve seen in previous chapters, tourists often encounter wild animals in a variety of unnatural settings. Seeing animals in their natural habitats seems like a great alternative. We can observe individual animals and species interacting naturally with each other as part of their ecosystem. Their behaviours are natural and, if we are responsible and respectful, our presence should have minimal negative impact. Plus, by visiting national parks and reserves we can directly support conservation efforts. But we must tread carefully and remember that we’re entering an animal’s natural habitat and that our presence can disrupt or affect the animal’s normal behaviour. If poorly managed, viewing in the wild may be just as harmful to wild animals and their environments as the impact on individual animals caused by some of the captive situations featured in this guide. Supporting well-managed wildlife reserves is one of the best things we can do for compassionate conservation, and community development. Here’s how to make it a positive experience. Chasing wildlife, following the animals too closely, or crowding the animals with too many people, can cause distress and can disrupt their normal behaviour. Family groups are easily separated, leaving younger animals vulnerable to predators. Loud or unnatural noise -- shouting and laughing, or the sound of engines -- is also disruptive. Exhaust, litter and other forms of pollution can kill wildlife, and vehicles driving off-road can damage habitats and nests. Unscrupulous operators attract wildlife with food which disrupts their normal foraging and hunting. Direct contact with wildlife is potentially life-threatening and risks transmitting dangerous diseases between humans and animals. 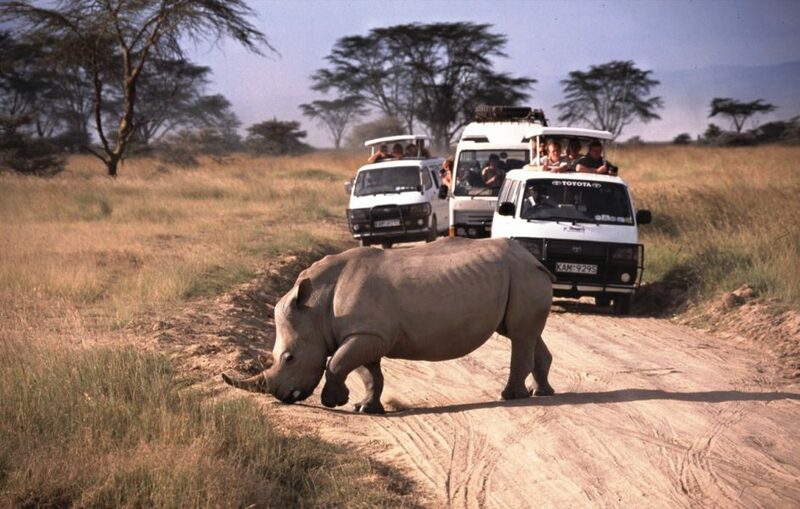 Wildlife viewing has become a hugely popular holiday activity. It can either be the sole focus of a trip, or be a shorter excursion or day out. Most of us, it seems, love to see fascinating, colourful and charismatic animals in the wild. The variety of opportunities on offer is astounding, from the exotic and thrilling: diving with whale sharks in Australia, trekking to see orangutans in Borneo, spotting tigers on safari in India, or observing the wildebeest migration in Kenya and Tanzania, to specialist trips such as birdwatching holidays, whale watching or citizen-science expeditions in support of research. Always aim to book your trip with a responsible tour operator, or through a responsible travel agency. Note that travel agencies often sell trips on behalf of another provider. Try to find out who the actual supplier is and ask about their approaches to animal welfare and conservation. Avoid operators that appear to endorse an irresponsible attitude to animal welfare. 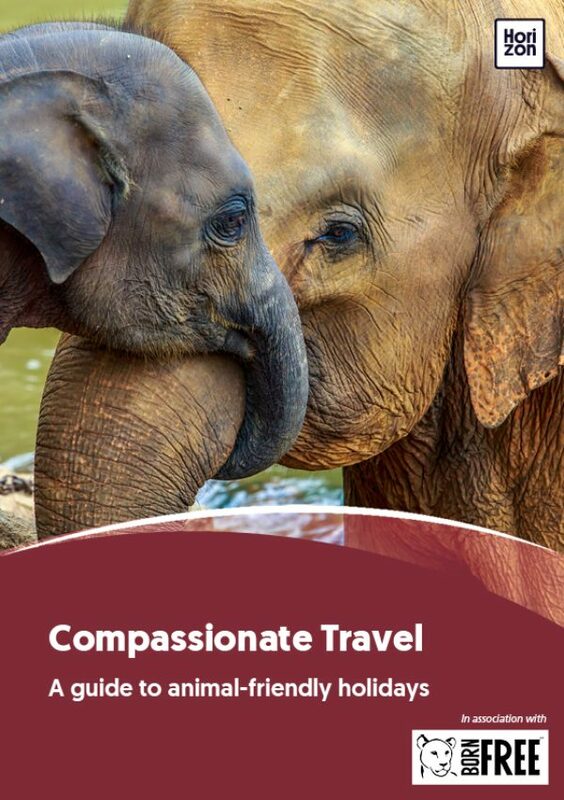 Some obvious warning signs: Do their marketing materials show tourists getting too close to -- or holding -- animals? Do they also offer some of the other activities covered earlier in this guide which are best avoided? Getting too close to wildlife, approaching animals head-on or pursuing and encircling them is likely to disturb them and cause distress. Approach wildlife at an angle, which is less threatening than coming at them head-on. Movements must be steady and predictable. The correct distance varies on the species but in general your presence shouldn’t alarm the animals, cause them to flee, or change their normal behaviour. If the animals appear disturbed, you should move away immediately. Noise, such as the sound of engines, and laughter or shouting, should be kept to a minimum. Engines should be switched off when stationary and vehicle horns or fog horns on boats should never be used. Bright lights and flash photography will startle an animal, possibly costing it a meal or even its life. Where night drives are legally permissible, the use of naked searchlights should be replaced with red filtered lamps that do not disturb wild animals. Litter, including plastic bags, batteries and cigarette butts, can be ingested by wildlife, causing injury or even death. Make sure you don’t drop anything and dispose of your rubbish properly. Avoid causing unnecessary damage to the environment. For example, scuba divers should never touch corals, which are easily broken and killed, and should avoid smothering marine life with clouds of sand or silt. Absolutely no direct contact should be made between wild animals and people, including the guides. This can be highly stressful for the animals concerned, run the risk of transmitting diseases, and can, potentially, cause injury or even death. If you are observing wildlife from a vehicle, never get out of the car unless instructed to do so by your guide. The skin of certain marine and reptile species is sensitive and easily damaged by human contact. Poisonous chemicals such as mosquito repellent can cause serious harm. Chumming or luring sharks with fish and blood has been shown to cause significant changes in shark behaviour, causing them to spend more time closer to the surface and increasing the likelihood of shark attacks on people. Shark cage diving is controversial, even when responsibly operated, and those who use chumming techniques should be avoided as well as those operators who advertise their trips as an “adrenaline-rush adventure” rather than an ecotourism experience. Luring wildlife by playing tapes of animal noises and mating calls can displace them from their natural territories or cause aggression between animals. If travelling in a group, don’t be shy. If you see or experience unacceptable human behavior that has a negative impact on wild animals, be sure to speak out. If you cannot prevent the behaviour at the time by voicing your concerns, contact your tour operator and register your disapproval. Conversely, if you have a great experience, thank and reward your guide appropriately and let your tour company or agent know that you appreciate their conscientious approach to what should be a magical experience for all. Do your research before you travel and find out the best time of year to view the wildlife you most wish to see. If the animals aren’t active when you visit, don’t be disappointed: this is not a zoo. It’s all a part of a respectful approach to the natural world that you’re visiting. It’s important that tourists don’t pressure their tour guides into manipulating the situation to make viewing the animals easier, or to set up that once in a lifetime photo opportunity.